The State Election Commission Is A Constitutional Authority That Came Into Existence On 26-05-1993 After The Promulgation Of 73Rd And 74Th Amendment To The Constitution Of India To Conduct Elections To Rural And Urban Local Bodies In The States. It Was Constituted Under The Provisions Of Article 243K Read With Article 243Za Of The Constitution Of India. The State Election Commission Is An Independent Organisation That Conducts Elections To Three Types Of Rural Local Bodies (Rlbs) I.E., Zilla, Taluka And Gram Panchayats, And Four Types Of Urban Local Bodies (Ulbs) I.E., Municipal Corporations, City Municipal Councils, Town Municipal Councils And Town Panchayats. 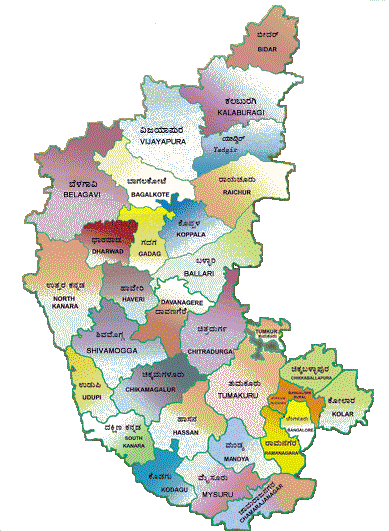 It Is Bestowed With Powers Of Superintendence, Direction And Control Of Elections To Rural Local Bodies Under The Karnataka Panchayat Raj Act, 1993, And Urban Local Bodies Under The Karnataka Municipalities Act, 1964 And The Karnataka Municipal Corporations Act, 1976. It Is Empowered Under The Karnataka Local Authorities (Prohibition Of Defection) Act, 1987 To Conduct Enquiry On Complaints Of Defection From A Political Party By Members Of Zilla And Taluka Panchayats And Pass Orders Disqualifying Them From Their Membership. It Is Empowered To Disqualify The Contesting Members Of Ulb Elections Who Fail To Submit Their Election Expenditure / Delayed Submission Of Election Expenditure For A Period Of 3 Years From The Date Of Order. Further, It Is Also Empowered To Disqualify The Members Of Zilla, Taluka And Gram Panchayats If They Fail To Submit Or File False Annual Statements Of Assets And Liabilities Every Year.